Going to law school usually means taking on a lot of debt. Almost 90% of law school students take out law school loans, and the average law school debt was $127,000 at private law schools and $88,000 at public law schools, according to the American Bar Association’s most recent data. You can use law school loans to cover tuition, living expenses or both. Here’s how to minimize the law school loans you need and borrow smartly. Before taking out law school loans, exhaust your grant and scholarship options. Many law schools offer need-based and/or merit-based scholarships, and there are outside scholarships available from firms and industry associations. Follow these steps — in order — to make sure your financial aid bases are covered. Fill out the FAFSA. The Free Application for Federal Student Aid is the most widely used financial aid application, so it’s crucial to complete. It’s required for many scholarships and grants, as well as for federal work-study programs and federal student loans. NerdWallet’s FAFSA guide walks you through the application process. Complete other required financial aid applications. In addition to the FAFSA, some law schools may require that you submit the CSS Profile, which is a form that hundreds of colleges use to award nonfederal financial aid. Alternatively, your school might require an aid application that’s unique to their program. Make sure to complete all the necessary forms so you don’t miss out on free money. Apply for outside scholarships. After applying for aid from your school, search for law school scholarships based on your location, minority status and legal practice area. Check with law firms, bar associations and community organizations for opportunities. If free financial aid doesn’t cut it, you’ll need law school loans. There are two main types: federal and private. Compare interest rates, fees and repayment options among federal loans and private student loans to find the best option for you. If you’re ultimately torn about which type to borrow, take out federal loans — they generally have more repayment options, and the interest rates are identical for all borrowers, regardless of credit. But there are a few instances in which private loans are the best option. There are two types of federal student loans available for law students: direct unsubsidized loans, and Grad PLUS loans. Direct unsubsidized loans have a lower interest rate and fee, so take out those first. However, there’s a limit to the amount of direct unsubsidized loans you can take, so you might need some Grad PLUS loans too. Both types of federal loans have a loan fee that’s taken as a percentage of the loan amount before it’s disbursed, meaning the effective interest rate is slightly higher than the stated interest rate. On the plus side, federal loans are eligible for income-driven repayment plans, Public Service Loan Forgiveness and loan repayment assistance programs, known as LRAPs. Some private lenders, including Sallie Mae, Discover and Citizens One, offer loans that are specifically branded as “law school loans” — we’ve included those options in the chart below. However, you can also use graduate student loans to pay for law school — compare all of your options to find the best choice for you. Private student loan interest rates are credit-based, which means you need excellent credit to qualify for the lowest rates. Get personalized rates from multiple private student loan lenders and compare them with current federal student loan rates to find the best deal for you. Unlike federal loans, private loans don’t have loan origination fees. However, they don’t qualify for federal loan programs including Public Service Loan Forgiveness and income-driven repayment plans. If you’re preparing for the bar exam, you may need extra cash for bar courses and living expenses while you’re studying. Some private lenders offer bar loans to cover these expenses, but consider alternatives first — you may be able to take out additional federal loans, get bar preparation scholarships or receive support from your employer. Loan deferment during a clerkship or fellowship? Yes, while you’re enrolled in an approved fellowship program. Yes, for up to three years if you’re serving in a qualified public service organization such as AmeriCorps. Yes, for up to four years. How it stands out: Federal direct unsubsidized loans don’t require a credit check, so you can qualify even if you have bad credit. Federal loans are eligible for income-driven repayment plans and Public Service Loan Forgiveness. Amount: Up to 100% of your cost of attendance, minus other financial aid. How it stands out: Discover offers unique repayment options for cash-strapped borrowers, including temporarily reduced payments or interest rate. How it stands out: The government requires a credit check for PLUS loans, but you don’t need excellent credit to qualify — you just can’t have an adverse credit history. PLUS loans are eligible for income-driven repayment plans and Public Service Loan Forgiveness. 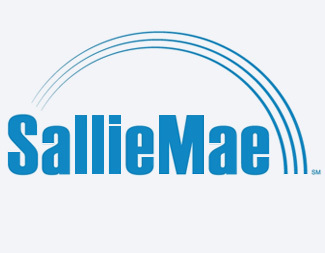 How it stands out: You can apply to release your co-signer from your loan after you graduate and make 12 on-time principal and interest payments, and meet Sallie Mae’s credit requirements. How it stands out: It’s one of the only lenders that offers a multiyear approval, meaning you can get approved for all your law school loans at once rather than having to apply for loans annually. If you work for a private, for-profit company, you won’t qualify for law school loan forgiveness. However, if you have good credit and a stable income, you may be able to save money through student loan refinancing. Public interest lawyers, on the other hand, have two main options for loan repayment: Public Service Loan Forgiveness and loan repayment assistance programs, known as LRAPs. 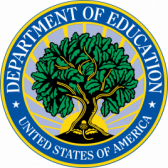 Public Service Loan Forgiveness: This federal program is available to borrowers with federal direct loans. To qualify, you must work full-time for the government, a 501(c)(3) nonprofit, or another type of nonprofit that provides a qualifying public service, and make 120 on-time payments on a qualifying repayment plan. PSLF is a relatively new program with complicated rules that you must follow to a T — make sure you fully understand how to get Public Service Loan Forgiveness before you pursue it. Loan Repayment Assistance Programs (LRAPs): Many states and law schools have programs designed to help public interest lawyers repay law school loans. Unlike PSLF, some programs are open to borrowers with private student loans and even bar loans. Every program is different, but many require that your income is below a certain amount. Find a list of state-sponsored LRAPS through the American Bar Association website and law-school-sponsored LRAPs through Equal Justice Works, a nonprofit that supports public interest law.